Short on space or looking for an inexpensive way to get your caffeine fix? This hack is for you! Cut the bottom out of your paper cup. 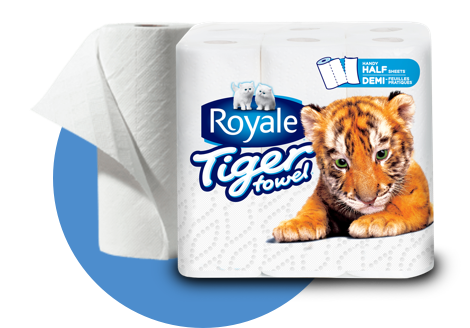 Fold your ROYALE® Tiger Towel® in half twice (creating a square). Attach the Tiger Towel® to the narrower end of the paper cup using a rubber band. Press down slightly to create a well in the center of the Tiger Towel® (this will hold your ground coffee). Place the paper cup on top of your mug and fill the well with ground coffee. Carefully and slowly pour hot water over the ground coffee until your mug is full. This great solution if you’re living in a dorm room, small apartment, camping, or just looking to save counter space.